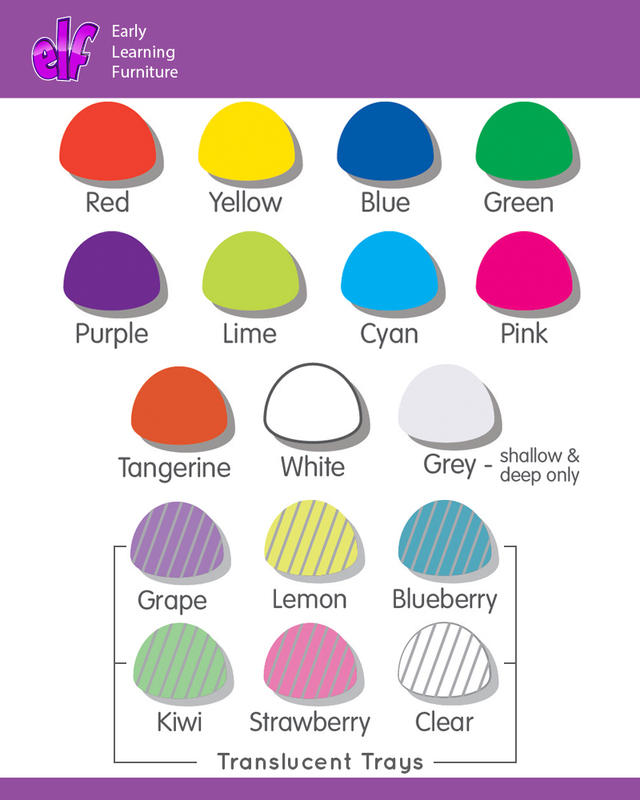 The Variety tray storage units includes 8 shallow and 3 extra deep Gratnells trays available in 16 eye catching tray colours. 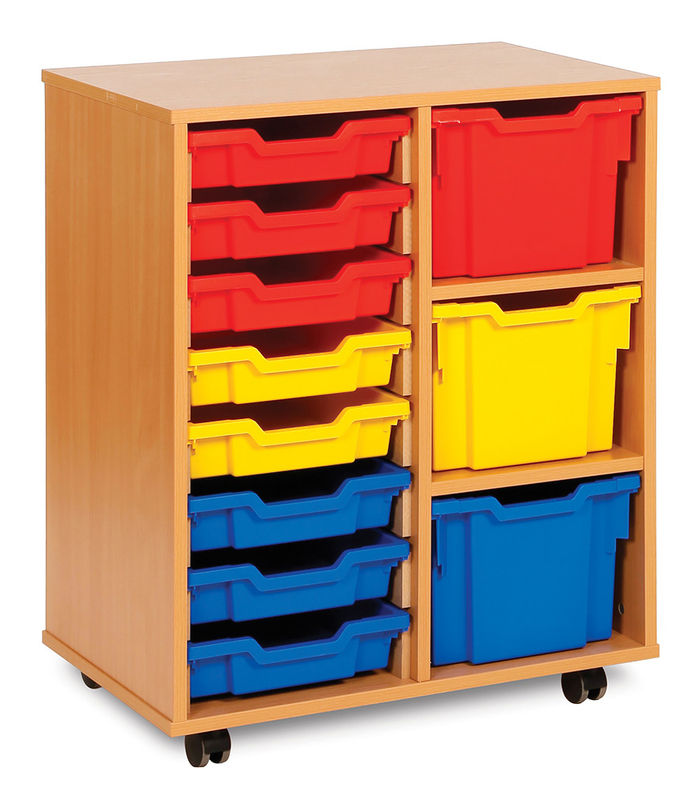 A compact tray storage unit perfect for use in schools, pre-schools and nurseries for storing away everyday learning materials or toys. Constructed from 18mm MFC in a modern beech finish, complete with protective PVC edging and easy glide castor wheels for easy mobility.